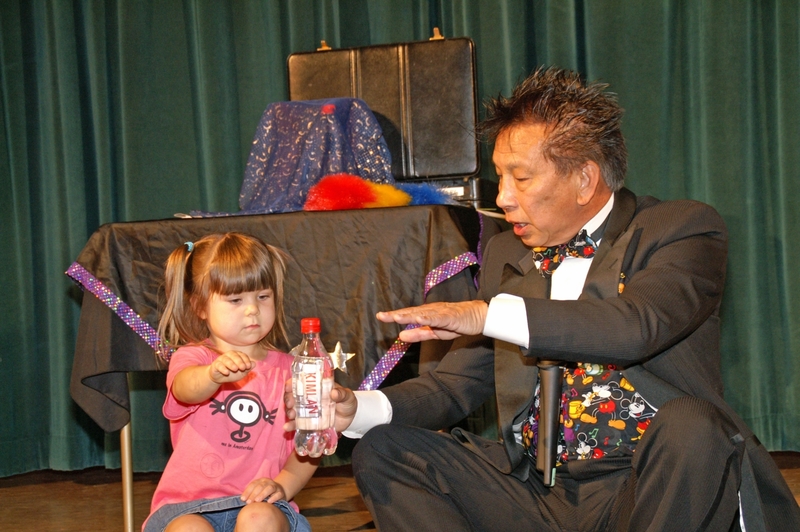 Southern California's best fundraising magic show! * What are the budgetary requirements? We can perform a variety of shows, one of which will meet your group’s budget. During the planning phase of your show, we will go over all the details and allow you to make the monetary choice you need to in order to ensure the success of the show. * What size venue do we need to provide? Any size will work. Whether you have a full sit down theater, or a multi purpose room with folding chairs we will fit our show to suit your needs. If your room is too small to fit all the members who want to see the show, no problem. We can do more than one show. * What are the technical requirements for your show? We like to have two movable microphones and a speaker system that allows the playing of a CD or MP3 device, but we will work with what ever you have. We will discuss all this in the planning phase and there will be no problems. * What happens if we don’t get the turn out we were hoping for? We will provide you with flyers and a system to ensure a successful turn out. * What if our show does not make the expected amount of money? We will work with what we have. If you don’t make money, we don’t make money. However, if you follow our system, you should have no problem getting a successful turn out and a successful show. * What if I have a question you did not answer here? Contact us and ask, we love answering questions!